We went to Wennie’s house so she can accompany me to get a facial done and because my sosy friend has a pool we cannot help but swim as early as 8 in the morning. But before that we got to play with bubbles. She’s wearing a pink “uso” tights and shirt from Ninong Marty. Here are some of her pictures. 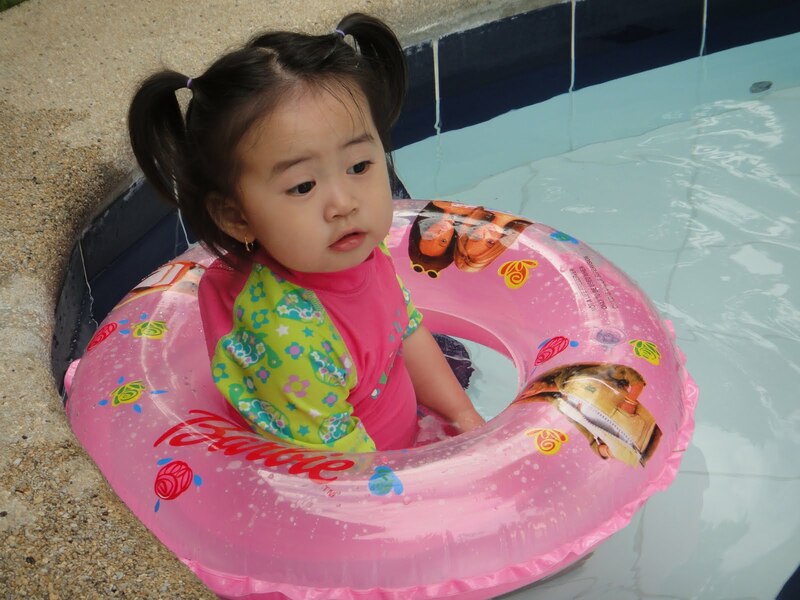 She knows how to swim using a lifesaver already. Holding on to it while kicking her legs. It’s actually our little secret because she has colds then so I’ll get that disapproving look from Henry. As usual I have to convince her then drag her away from the pool. Her fingers were all wrinkly like raisins so even if she’s wriggling from my arms I have to get her out. Wennie was surprised that she knows how to kick her legs and wave her hands in water. 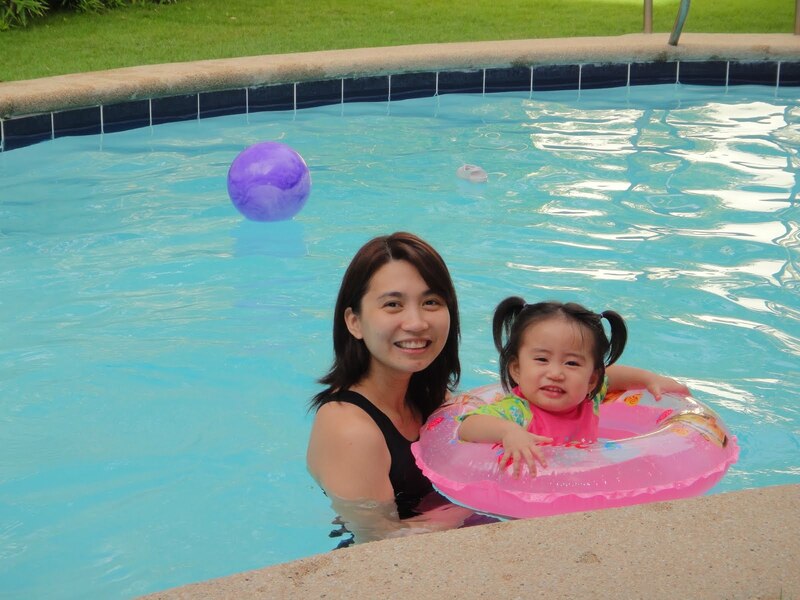 It’s because she already attended swimming lessons for water familiarization. Now, she just can’t help but swim when she sees a pool. Iya using the lifesaver and demonstrating her kicks. I was so scared of letting her go even for a little while.